Uno is now 6 years old and at his first Pay & Ride. Stina did a good job guiding him through this new experience. At first, he became afraid of the judge table, but after a short moment, he did not care at all. Very much tension subsided and after a while he worked quite relaxed. This Pay & Ride was a great day for him to experience a show arena without pressure. I am pretty sure he will fall asleep easily tonight! 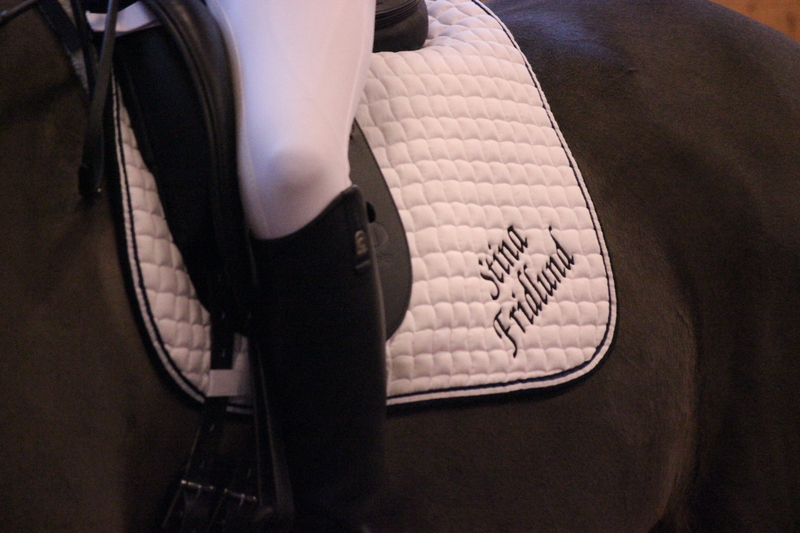 Photo: Tilda Fridlund – thanks! 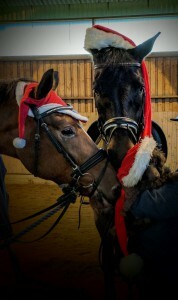 Uno did his first job in front of audience 26th of December. 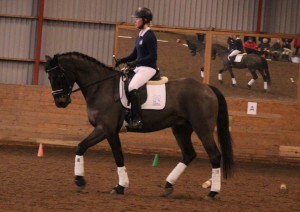 I had three days of Dressage Course at Lunds Civila Ryttarförening. Stina and Uno did their first “official” work showing “Preparation – Do – Credit!” which was the theme of the clinic. 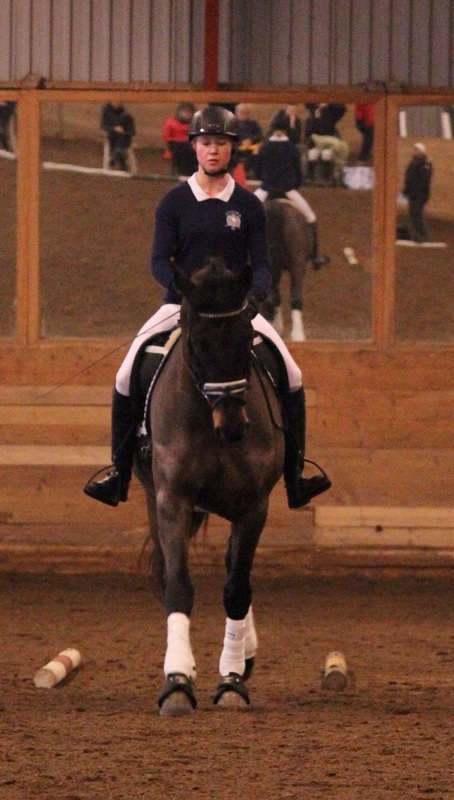 They also rode a dressage test for the first time and practiced to be calm to the crowd’s applause. From Uno and his friends! Extra carrots for great job today! Wille to the left and Bruno to the right. 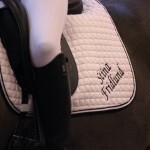 I will continue to sponsor my riding student Stina Fridlund. She will ride and compete Uno and I will be Stinas trainer. 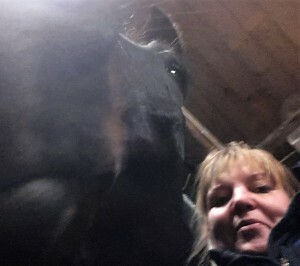 We set up a common plan for Uno with the goals that he shall do Young Rider Championship with Stina and Swedish Championship with me. 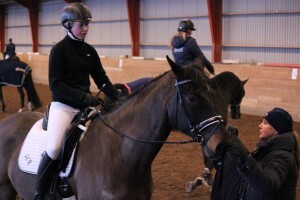 Stina has a very good feeling for the horses and riding. It is with great pleasure I collaborate with her and we very much look forward to the coming years. 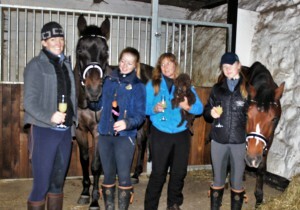 Today we had a name cermony for “Uno”. Now his name is officially MyNumberOne.se. 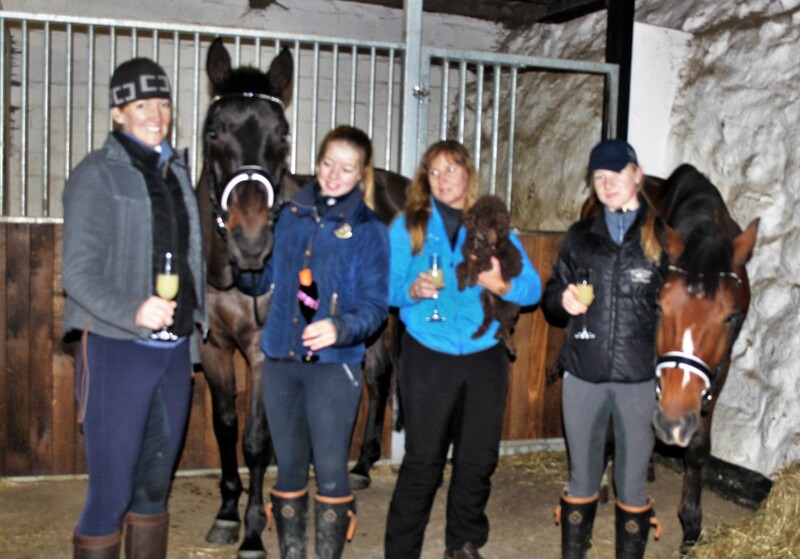 We had a small mingle party in the barn and celebrated with carrots and apple juice. Selfie after a great traning! 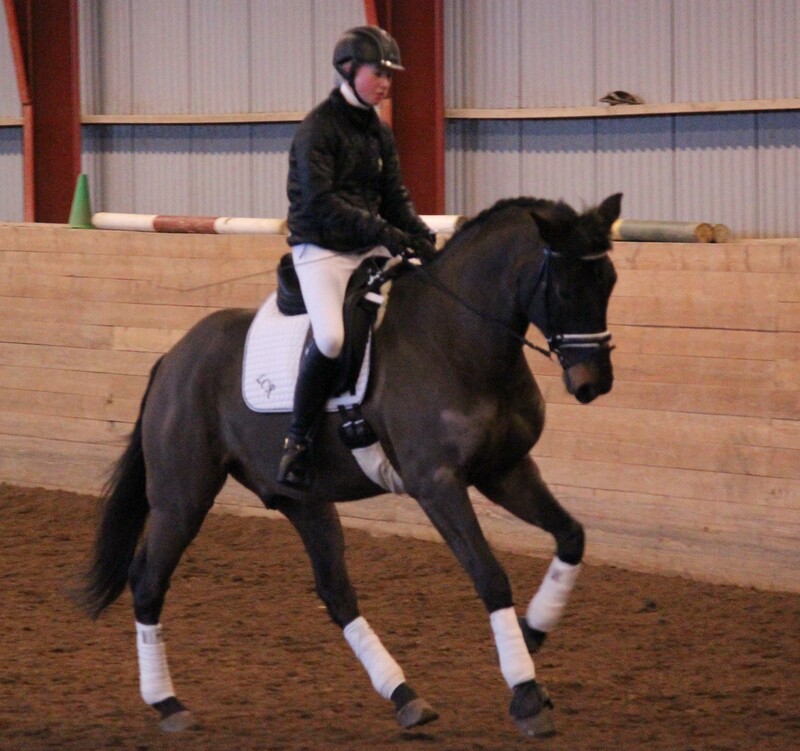 Two very happy souls after a great traning with Olof Axelsson. 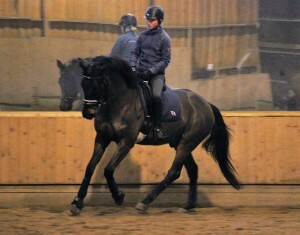 Uno starts to understand how to “dressage-work”. 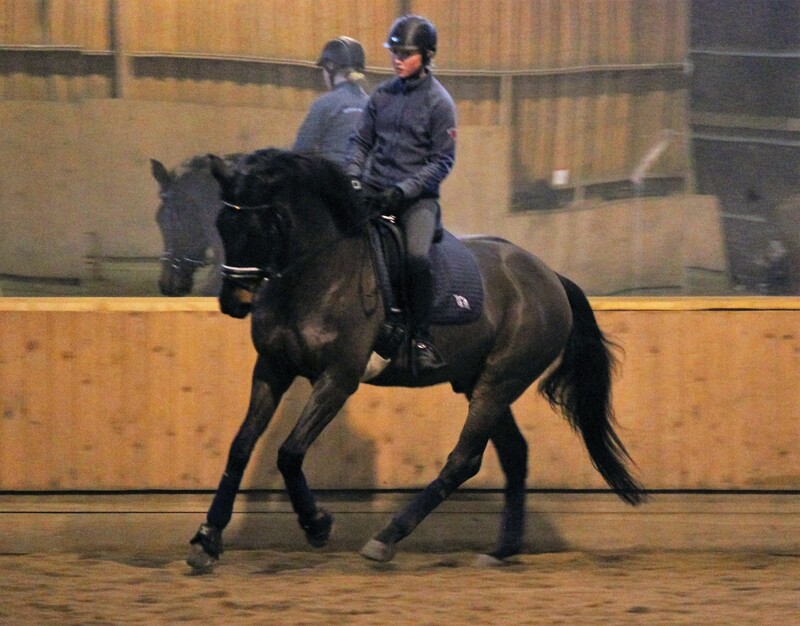 Not easy for him who has been educated to be a show jumper since he was broken in april 2015. MyNumberOne.se was born in Germany, owned by Paul Schockemöhle and he was at Flyinge in Sweden for education and for sale. 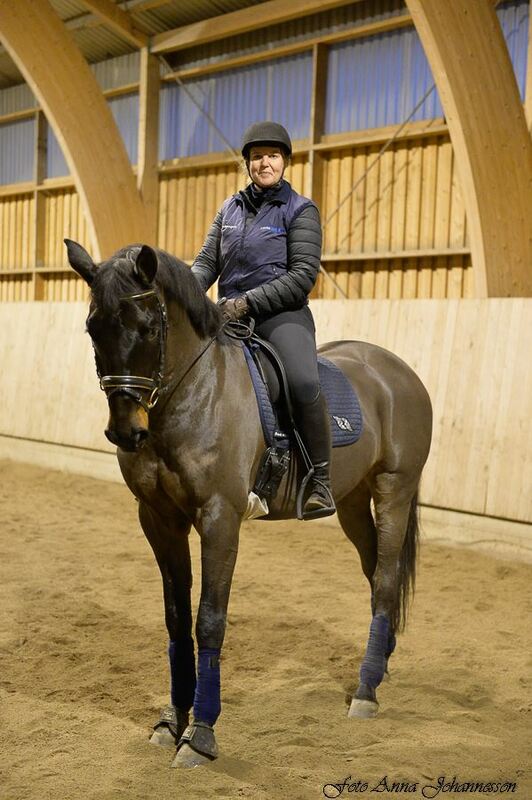 Helena Torstensson has done a great job training him to be a fantastic horse to ride! 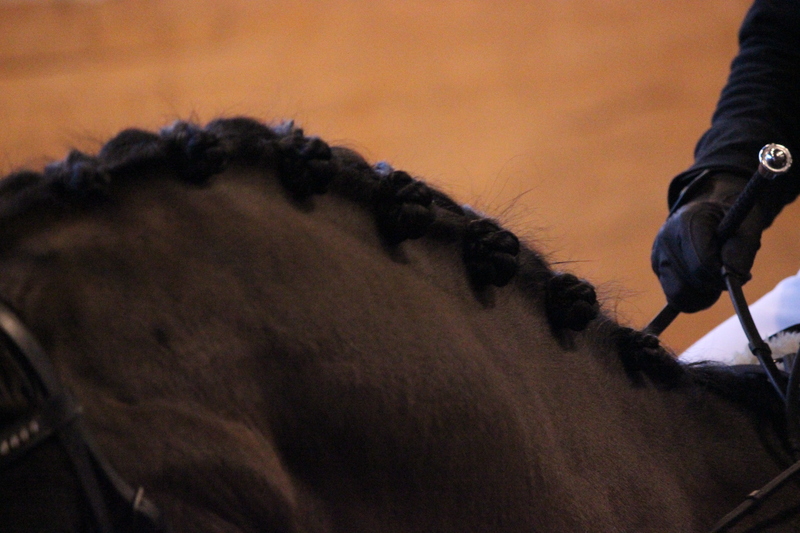 He was broken quite late, spring 2015 and he was ment to be a show jumper. But, he has more qualities than jumping! 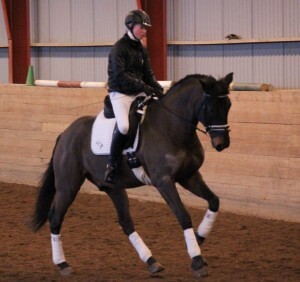 Now he will do dressage instead, but of course do some jumps for education. I feel so privileged to be able to be “his human” and I am so much looking forward to work with him for many years. The goal is of course Grand Prix. I hope you want to follow us during the journey all the way there.